For most organisms, the number of described species considerably underestimates how many exist. Even well-known groups such as terrestrial vertebrates are yielding recent discoveries. This is itself a problem and causes secondary complications given present high rates of species extinction. This seminar briefly summarise estimates for major taxa, the methods used to obtain them, and future prospects and discuss estimating where these species are likely to be found. Given that global conservation priorities are based on numbers of known species, addressing the question "how different would conservation priorities be if the catalog were complete?" is a hugely important question. 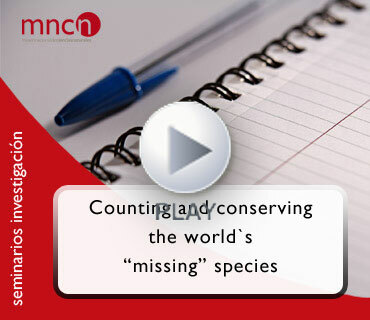 Finally, it address just how effective we actually are at conserving these species and their habitats. Overall, the results showed, leave global conservation priorities more or less intact, but suggest considerably higher levels of species imperilment than previously acknowledged, and lower conservation effectiveness. Presenta: Miguel B. Araújo, investigador del Departamento de Biodiversidad y Biología Evolutiva, MNCN, CSIC. Ponente: Lucas Joppa, investigador del Microsoft Research, Computational Ecology (Cambridge).